The first installment of the “Electric Chamber” series in January was a great success, so we’re doing it again! 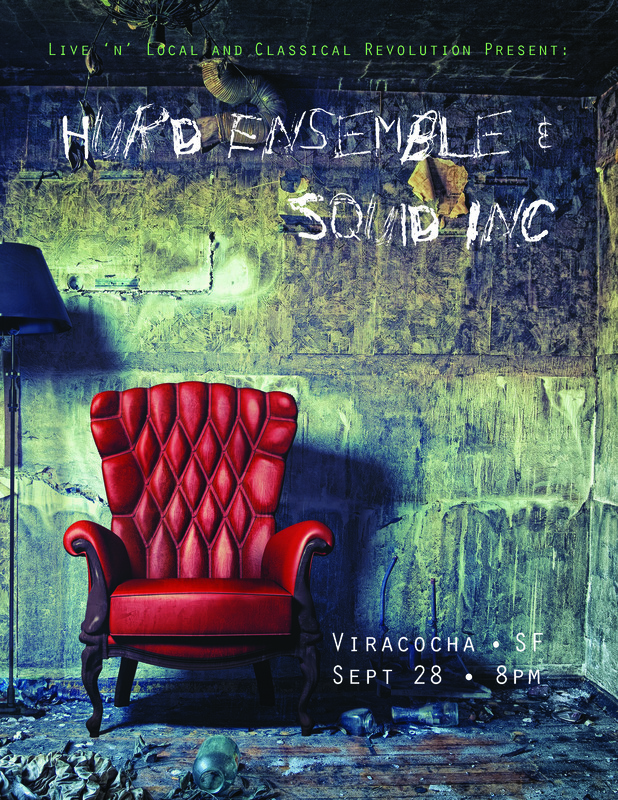 with THE HURD ENSEMBLE and SQUID INC.
Friday, September 28th @ Viracocha, SF. What explains the enduring appeal of chamber music? No doubt the beauty, subtlety, and complexity of the music are a part of it—not to mention the passion and virtuosity of its players. But these qualities can be brought to bear on music of any kind, and more and more, classically trained musicians are venturing beyond the traditional confines of the chamber into new and exciting territories. The San Francisco Bay Area, in particular, is a fertile breeding ground for such genre-bending, cross-pollinating creativity. The ELECTRIC CHAMBER series showcases some of this incredible creative talent. In this, our second installment of the Electric Chamber series, we present two exciting, innovative ensembles. 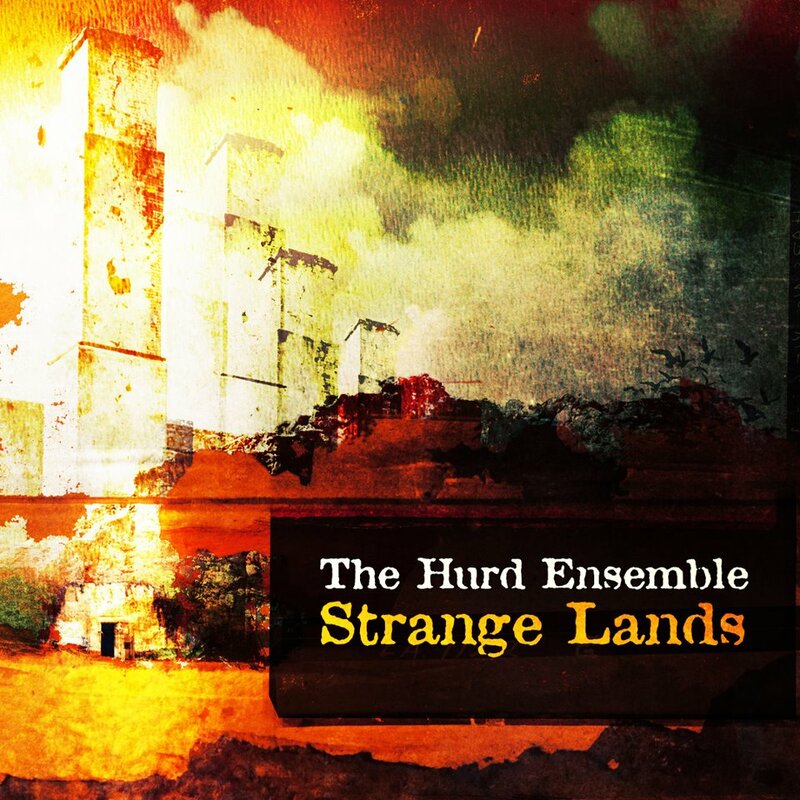 Performing original music by San Francisco-based composer George Hurd, The Hurd Ensemble unifies the worlds of electronic and classical music. All the music is written for string quartet (violin, viola, cello, upright bass), piano and electronics, meticulously bound together with digitally-arranged sounds collected from Hurd’s travels. Absolutely no stock electronic sounds are used – every sound produced is of his own creation, recorded, edited and manipulated himself. The electronics are layered to create textures that perfectly complement the acoustic instruments, giving rise to a sound that is extremely organic despite its partially digital origins. Hurd’s music is both wildly, intricately rhythmic and aglow with shimmering harmonies and melodies. Accessible and daring, its percussive yet lyrical qualities make it at home in both concert halls and nightclubs. Made up of some of the Bay Area’s fiercest string players, Squid Inc. will open your ears as the world of popular music dances with classical tradition. Fun, fiery, and fully engaging, Squid Inc. plays original tunes and unusual arrangements with a style and flare all of its own. 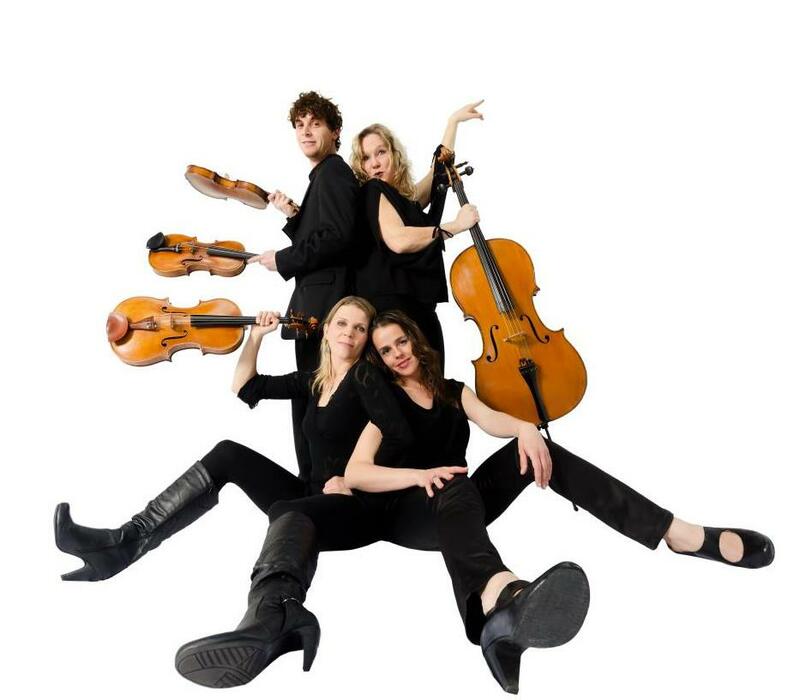 Where Bossa Nova meets Coldplay and Sorcerer’s Apprentice melds with Muse, you don’t want to miss Squid Inc., the future of the string quartet. ELECTRIC CHAMBER is brought to you by Live ‘n’ Local SF, whose goal is to promote and support innovative music played live by local musicians, regardless of genre, and Classical Revolution, a social movement of global reach and local origin, now in its sixth year of bringing chamber music to the masses. This concert is also part of Classical Revolution’s first ever music festival, taking place in 23 different venues across the Bay Area throughout the month of September. This entry was posted in Music, Performance and tagged Charith Premawardha, Classical Revolution, Hurd Ensemble, Live 'n' Local SF, Squid Inc, Viracocha by fenderhardt. Bookmark the permalink.